Cooked hulled barley, soft and chewy in texture, is a great addition to any salad. 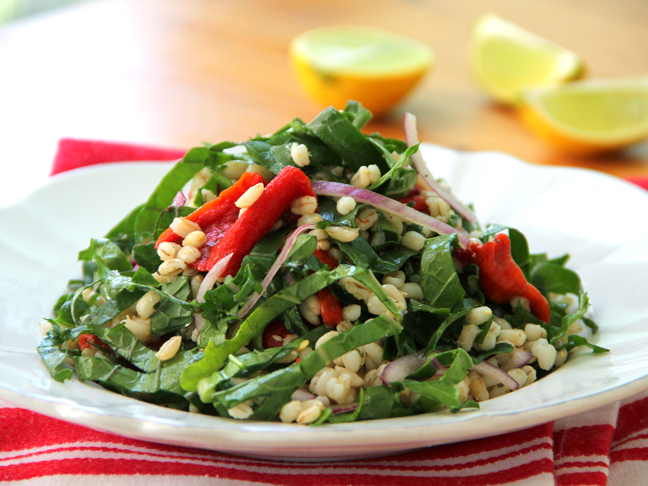 For this roasted red pepper barley salad recipe we tossed it with hearty kale, roasted red peppers, and a tangy lemon dressing. A fresh & hearty meal full of nutrient-packed veggies and grains! Step 2: While the barley is cooking, thinly slice kale leaves and red onion. Chop roasted red pepper into 2 inch pieces. Step 3: Add the cooked and cooled barley to a large bowl with the sliced kale, onion, and roasted red peppers. Add the olive oil, lemon juice, and zataar spice (optional), and season to taste with salt and pepper. 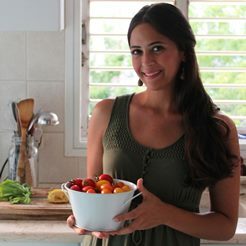 Tip: This salad would also be great with crumbled feta on top!